Product #2863 | SKU SASAMP | 0.0 (no ratings yet) Thanks for your rating! 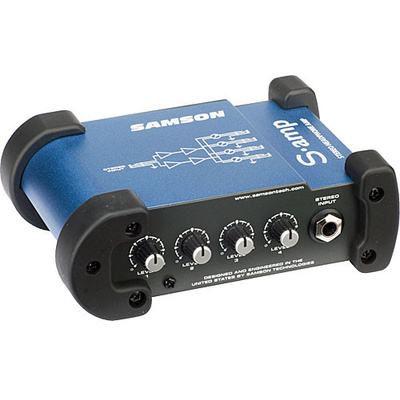 The Samson S-amp is a low-cost, portable, 4-channel headphone amplifier, featuring individual output volume control knobs. The input and output connectors are of the 1/4" stereo type, and the S-amp works with a wide variety of headphone models and impedances.